To spell out my title I paired a basketball word sticker from the collection with Doodlebug's Tangerine Chippers. I love how Doodlebug designed the Slam Dunk Doodlepop so that it perfectly layers over the same image with the This and That Sticker sheet. I think they look so good together! 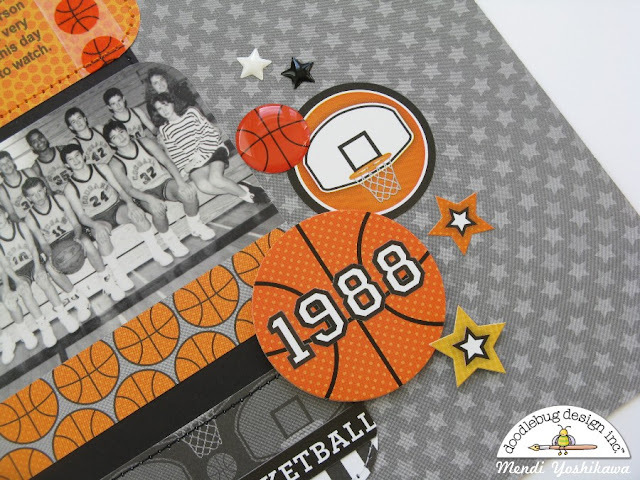 At the opposite corner of my page, I balanced it out with another doodlepop layered with the date using more stickers from the This and That Sticker sheet and some Slam Dunk & star sprinkles. I had a lot of fun with this and I'm pleased with how it all fell together. I hope I've inspired you to pull out some old photos and document your own Middle School and High School memories. Mendi, your page is gorgeous! I enjoyed reading your story. 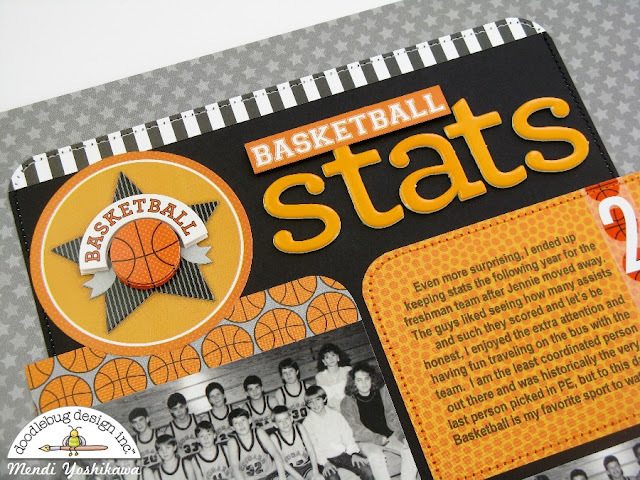 I took stats for a few of the boys sports my high school years, (football, wrestling and track). My best friend, Holly, recruited me in tenth grade and it was so much fun that we did it the following two years too. I don't think I ever did well in football though -- the athletes were constantly correcting their stats with me. :) Anyhow, your design is fantastic. 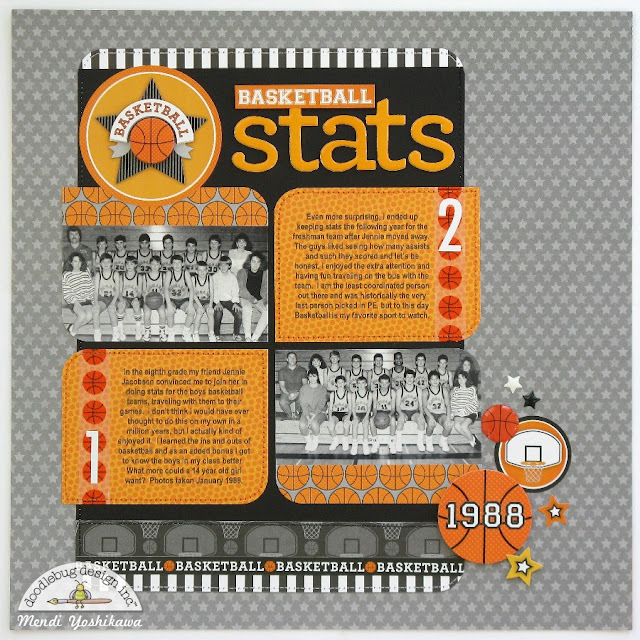 The orange on the grey and black draw your attention in and the arrangement is terrific. This is such an awesome layout, Mendi! Loved the journaling too!! !